About 14 hours after enforcing a strike for 96 hours across the country, jute mills workers called off their protest programme around 10:30pm yesterday following a meeting with the government. Leaders of the agitating workers announced to withdraw the strike after the meeting with the authorities concerned where decisions to clear the workers’ arrears by April 25 and implement their wage commission by May 18 were taken. Earlier in the day, jute mills workers started their 96-hour strike from 8 in the morning to press home their nine-point demand that includes payment of outstanding wages and implementation of the wage commission, adds UNB. 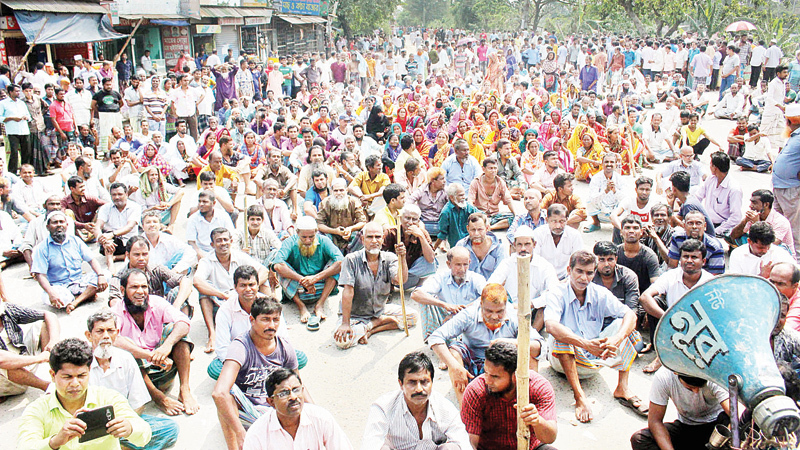 In Khulna, workers of nine state-owned jute mills enforced a road blockade programme from 8am to 12pm. 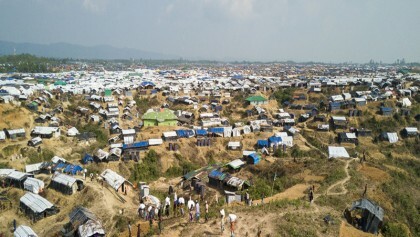 They took position at Natun Rasta, Shiromoni and Khan Jahan Ali Road in the morning, halting vehicular movement on Dhaka-Khulna highway, said KaziMostaq Ahmed, OC of Daulatpur Police Station. The workers took position in front of Amin Jute mills under Bayazid thana in the morning and blocked road, halting vehicular movement. The shuttle train service of Chattogram University was also suspended as the workers blocked rail track. Jute mills workers also staged demonstrations in Sitakundu. A huge number of police were deployed in front of different jute mills to avoid any untoward situation. Earlier, the jute mill workers observed a 72-hour strike by blocking roads and rail routes to press home their nine-point demand from April 2-4. Later, they announced the fresh programme of 96-hour strike.